"Nostalgia - it's delicate, but potent." So pronounces Don Draper to the Kodak executives as they await his pitch for their new photo projecting device. What has been labeled offhandedly as "the wheel" becomes "The Carousel" after Don's powerful soliloquy on the subject as outwardly happy images of his family on the screen mask the pain he increasingly feels over the elusiveness of that happiness, much of that pain self-inflicted. And yet, he can't seem to put an end to his self-destructive behavior. These devils will continue to hound Don throughout the entire series. The show concluded a couple weeks ago with a final season that seemed to lose a step as it drew to its conclusion. I'm not sure if it was the ill-advised, artificial split mandated by AMC that produced this impression, or if the writers really did have some ambivalence about how to bring the best drama on TV to a close. When I spend any time with it in my head, I'm not sure how differently it could've been done. 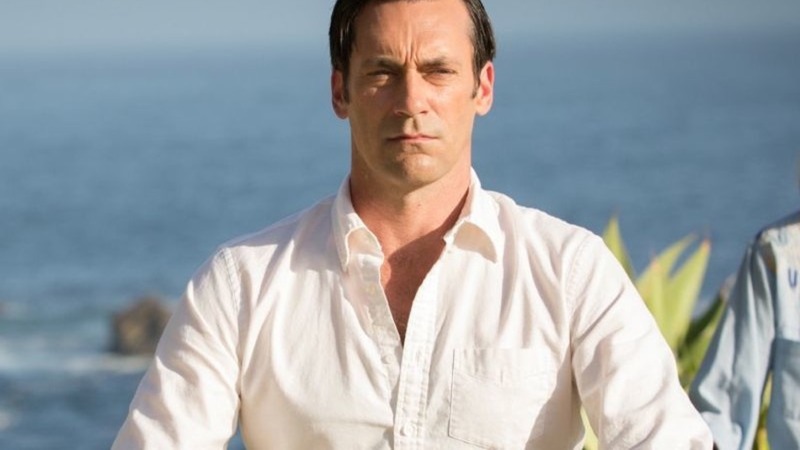 Mad Men was not one to throw drama in your face. When it did come, it crept forward tense and cat-like, revealed in stony expressions and carefully raised voices. It was the language of adults that I remember observing as a child. It was so accurate it was scary, one could say forensic. The show was eerily good at transporting me back to those times, times that I can only visit now in very faded and unreliable memories, or old Polaroids, the edges curled and the colors muted. Everybody smoked, including my mother, who also had the cats eye glasses and the pencil skirts. Betty Draper reminded me of her, with her beautiful, chilly surface and her mercurial moods. She loved you, but it was a formal love, often unexpressed in any obvious fashion. My mother may not have been as buttoned up, but she could be just as inscrutable. The series starts in 1960, and in the first 5 years or so, it's a peek into the world as it was at America's dizzying peak. Sheer confidence and bluff, the men seem fearless as they drink to excess and party until late in the evening at the office. There's a scene early on where Roger Sterling is drunk and riding on the back of a woman as she crawls on all fours through the deserted hallway. We're transported to the top of the American Mount Olympus, as the gods (white males, of course) sport and swagger in the very heart of this commercial engine, the part of it that gave it an appealing face. The advertisers. Where the American dream was born. You can't help but have some dawning awareness that these are the last of the salad days. As the sixties progress, we see portents. New York City's shadows grow longer as Roger and Joan are robbed on the street at gunpoint. The conflict in Vietnam and the race riots become a fixture on network news. Sterling Cooper goes through upheaval, the partners fighting for the life of their company against larger competitors. In the later seasons, I begin to recognize the world they depict. I was born in '65, and some of the memories from that time, so buried and difficult to access, began to unlock as I watched the show. Season 6 especially woke up something in me. The closing credits rolled to the accompaniment of a song from that time, and I thought during that season that they had some brilliant choices. Suddenly, I'd be back with my mother in her Ford Maverick, driving somewhere as AM radio played incessantly. Judy Collins' rendering of the Joni Mitchell classic "Both Sides Now". The practically forgotten Friend and Lover with "Reach Out of the Darkness," with its irrepressible chorus. "I think it's so groovy now, that people are finally gettin' together...". Even as the country was tearing itself apart, a youthful optimism tried to break through and exhort everyone to release the baggage of the older generation and start over. It's an infectious sentiment. When I look at film of those times, the efforts to get past the violence, those optimistic voices, it's almost startling to see. Cynicism and jaded attitudes were just around the corner. Nixon won handily in '68, and with that the older generation had put their foot down. The calcified worldview of conservatism was rising from the ashes, and that breathtakingly creative decade would soon be a wistful, almost mythical interlude. Don walks away from it all in the end, and after what he's put himself through, how could he not? The pressure to produce was intense, and the self-medication was never-ending--booze, affairs, nicotine, more booze, and just general self-delusion. It's literally a toxic way of life. Betty was diagnosed with cancer in the last season, but I'm sure if they were to keep going, many more would follow with the same diagnosis. Half my family heard those words as well, and it didn't surprise me when they did. I often wonder how I didn't fall prey to it. Betty's daughter Sally is depicted smoking in the presence of her mother. I recall my mother telling me when I was 14 or 15 that if I wanted to smoke, she would buy the cigarettes for me. I was incredulous. Couldn't they see that I hated the habit? I had nagged my mother to stop for years, to no avail. Like Betty, even after she was diagnosed, she continued to smoke. She and her generation were going to ride those toxic habits, partly a product of such unprecedented affluence, right to the end. The show ended like so many ventures back then. Nothing adheres forever. People go their separate ways, reinvent themselves, speeding along in their endless search for fulfillment, whether it be superficial, or, less often, something more profound. Don ends up meditating on a beach in California, as their chanting gives way to that famous Coke commercial featuring people of all nationalities singing in unison about giving everyone a Coke . That spot is iconic for many of us Gen Xers. I can remember the first time I saw it. As Don said, it created an itch, and I recall sipping from many an icy Coke bottle on a hot afternoon. I don't drink the stuff anymore. Like Don, I've grown weary of a life based on incessant consumption. I haven't run away, but I've run headlong from so much that I used to partake in. 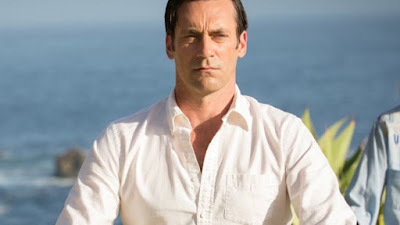 Mad Men, for me, was the Great American Novel for television. Nothing else has reflected my life back to me so precisely and with such diamond-sharp writing. I hope we do see something like it at some point, but I wouldn't hold my breath.